Maldon Sea Salt Bulk 1.5kg. Home > Maldon Sea Salt Bulk 1.5kg. 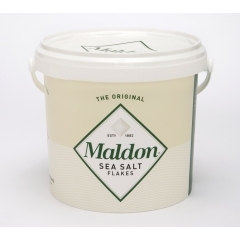 Accept no substitute for Maldon Sea Salt, because nothing else is quite the same. 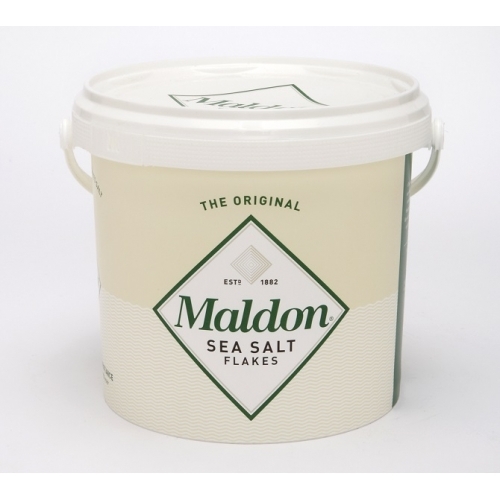 Maldon sea salt flakes are loved (is that too strong a word? No!) by chefs and shoppers the world over. It’s the soft flaky texture of the sea salt crystals and the cleanness of the salt flavour they deliver that makes the difference. None of the bitter after taste that some salts leave; instead a freshness that enhances the flavour of all natural and fine foods.